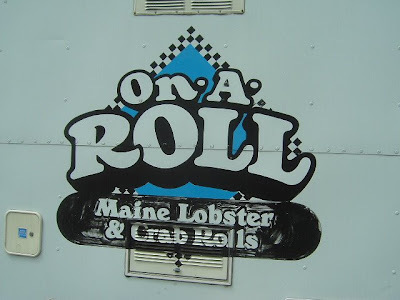 Technically, this is a Lobster and Crab Roll Truck, but they do serve hot dogs and curiosity got the best of me. I surveyed the spacious, open and airy dining room while waiting my turn and snapping these pictures. 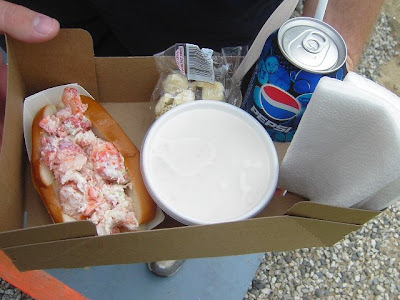 I ordered up one dog "all around" and chatted with Dr. Winn ("like 'winner' without the 'ER' because he likes to keep his patients out of the ER") from Biddeford who was taking a Sunday drive and sampling the lobster roll at Karen's On a Roll. 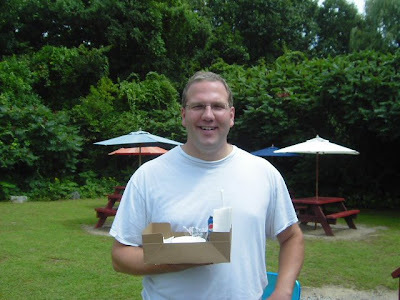 He said his meal was good and he wanted to be sure I took a picture of it so he could prove he was NOT eating a hot dog (the good Doctor apparently teaches a nutrition class). 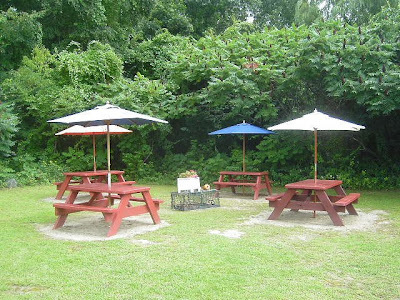 Looks pretty good to me too, but I was off to my aunt and uncle's house for a big lasagna and eggplant parmesan meal, so one hot dog was all that was in the cards for me. 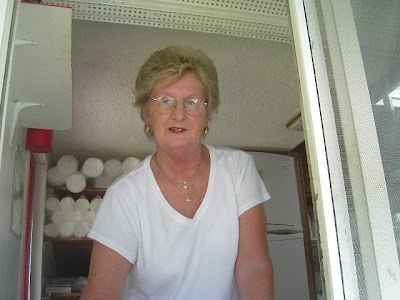 I chatted with Karen who has been all over the TV and newspapers for the quality of her delicacies. 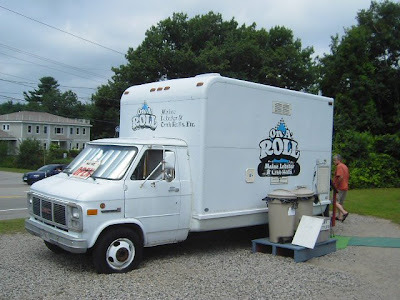 She serves Shield's hot dogs, which are made locally in Kennebunk. 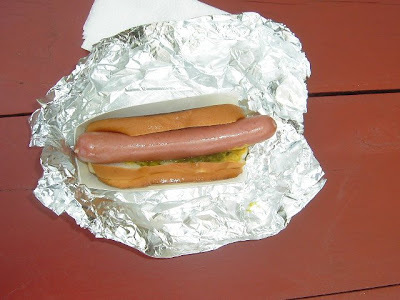 My hot dog was served "all under" on a grilled roll and was very tasty. The dog itself had a juicy, spicy taste and the mustard had a bit of a bite. 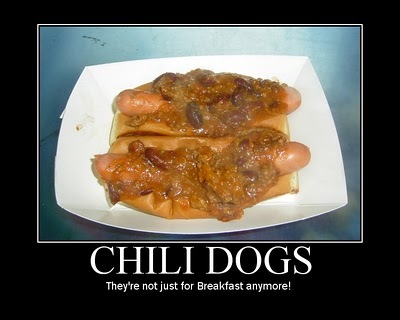 This was a very good hot dog! 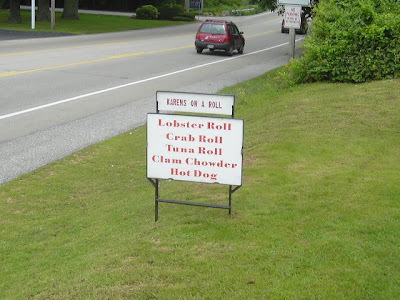 Next year, I am going to have the lobster roll too. Good luck with your business, Karen. We'll see you next year!